With this uncharacteristically warm winter weather, it is hard not to enjoy all things outdoors and exploratory. We had my father-in-law come into town and wanted to show him a fun time, so we planned a great day in Chino and Ontario. This is definitely an all day event, so you can easily break this up into a few adventures if you would rather. We started off our morning at this great little mom and pop breakfast place down by Chino Airport called Flo's Airport Coffee Shop. If you enjoy biscuits and gravy, this is the place for them. They have great omelets, pancakes, and fantastics pies and cobblers to boot, so come hungry! 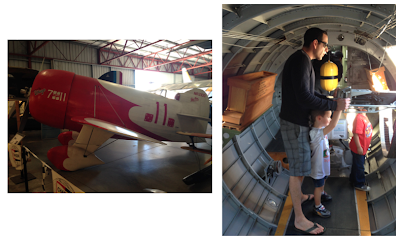 Following our mammoth meal, we went down the road to the Planes of Fame Museum where we got lost in the history of the planes and artifacts in this working museum, T was in absolute Heaven. We spent hours just wandering around, looking at the planes, playing in the interactive room, and speaking with old pilots. After we finished with the museum, just up the road is a really great educational farm called Amy's Farm where you can see animals in action, pet them, speak to the farmers about the animals, and buy produce that comes straight from the farm. Unfortunately, we were not able to visit the farm today since they are closed for the holiday season. Since we were in the area, we stopped by Hottinger's Meat Shop to pick up dinner. The have the most amazing selection of beef, chicken, pork, and so many other meats. We got the Santa Maria Tri Tip, our absolute favorite. Naturally, we had to stop by the side of the road and pet some cows since we were in Chino and there are more cows than people. Our final stop was to Logan's Candy Shop in Downtown Ontario where T got to watch candy canes be made for the very first time, and made his very own! We had such a fantastic day, and all we did was drive down Euclid to get to all of these little gems. I know we will be frequenting each of these places more often. Summer is the greatest because it gives me the opportunity to let loose and enjoy all of the wonderful things that So. Cal has to offer- and not for very much money. This is a biggie for me considering that I am a teacher and don't have an income during the summer months. Our adventures this summer so far have included some of our usual spots like the Mt. Baldy Waterfall and the LA Zoo, but a few new ones as well. 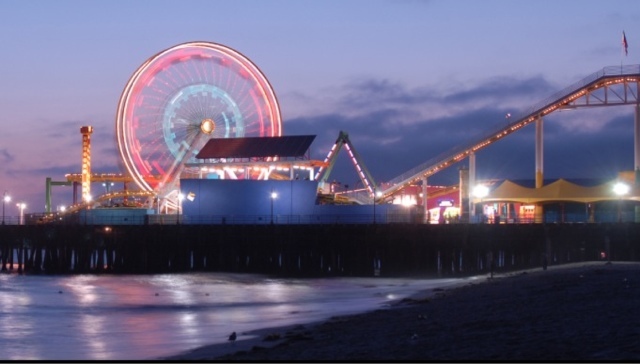 The two that I want to share today are the Aquarium of the Pacific in Long Beach and the Santa Monica Pier. You can pick up a coupon for the aquarium at Denny's (free child's admission with paid adult-expires August 30) and you can also get a coupon for the Pier at Wahoo's ($15 unlimited rides wristband for entire day-expires July 2) Both are sure to be amazing days, and saving money is always helpful anytime of the year! Looking to get away with the family but don't have the time, the money, or possibly a combination of the two? Big Bear Lake is the perfect solution. With so many options on places to stay from hotels to motels and inns to bed and breakfasts to cabins there is bound to be a place that will fit any budget. I would likely recommend staying at a cabin if you are bringing the family along as there will be plenty of space for everyone and you can typically get the best rates on cabins for larger parties. The most common site to check out is www.bigbearcoolcabins.com for most of the cabins in Big Bear, however, many cabin owners also list their cabins privately on www.vrbo.com (vacation rentals by owner). I suggest checking both sites out before committing to a cabin to make sure that you not only get the best deal and the most bang for your buck, but you get everything that you need out of your cabin (bedrooms, amenities, spa, proximity to slopes/lake/village, etc.). If you are looking to get away for a romantic getaway, I suggest checking out Apples Bed and Breakfast off of Moonridge Rd. It is a quaint old Victorian home that oozes charm and provides each of its guests with a unique experience. 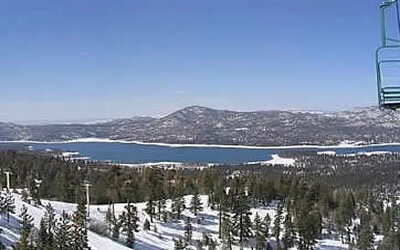 The experiences that you will have while at the lake depends on the time of year you are heading up to Big Bear Lake. If you are going up during the winter, there is both Bear Mountain and Snow Summit Ski Resorts. Where it is $59.00 per person to ski/board for a full day, you get access to both Resorts and you are provided with free shuttle service between the two Resorts (*If you have a student I.D. of any kind you can get $20.00 off of the price of admission-so your ticket will be $39.00). If you have little ones, Bear Mountain offers a ski school/daycare for little tikes from ages 3 to 6 the cost is $95.00 for a half day and $120.00 for a full day. The kids will "learn" to ski and have plenty of play time in the snow and e provided with a snack (and lunch if staying for the full day). If skiing doesn't tickle your fancy there is also Alpine Slide Magic Mountain at the lake. A great place for families to hang out! We took our son for the first time and he (and we) had and absolutely amazing time! You can play miniature golf, ride go karts, go down a water slide (summer months only), take a bobsled style ride down the mountain, or go snow tubing (winter months only). 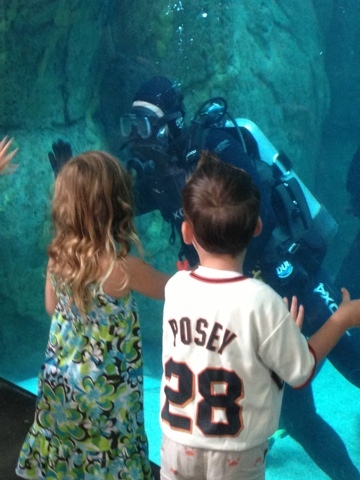 This place lends itself to hours of fun for the whole family, and will be sure to bring out the kid in everyone! If you are going to Big Bear in the warmer months, I suggest checking out the Cable Park- a wakeboard park, or renting a boat for a few hours to explore the lake from a different vantage point, going to Swim Beach, or taking a hike up to Castle Rock to get a fantastic 360 view of Big Bear Lake and the San Gorgonio Mountains. Of course, you are are going up to Big Bear between September and October, be sure to stop by the event center in Big Bear City to check out Oktoberfest. It is quite the spectacle with actual German entertainment, activities, food, drinks, crafts, and games (I suggest buying your tickets pre-sale to avoid the ticket lines and higher prices at the gate). Don't forget to check out some of the local fare; Bear Belly Deli is a delicious little delicatessen that is sure to please even the pickiest eater, North Shore Cafe has the best breakfast burritos on the mountain, if you are as hungry as a bear, head over to Grizzly Manor Cafe for breakfast (only open 6:00 am - 2:00 pm). If you are looking for something a little nicer, try the Peppercorn in the heart of the Village. With its excellent service, wonderful ambiance, and some of the best food on the mountain, you will agree that the price tag is well worth the meal and experience. If you only have a weekend or a whole week, you will find plenty of things to do to keep you and your loved ones occupied. You will have a great time making plenty of memories, no matter how big or small your budget or amount of time, I suggest going to this place that I consider a little slice of Heaven. You will be sure to fall in love, even if the only thing you do is get up there and do nothing at all! We are Going to Medieval Times! New Year's Eve is typically about fancy parties and having fun with the adults, and New Year's day tends to be the day where many of us are nursing ourselves back to health, watching the parade on television, and doing a whole lot of nothing. 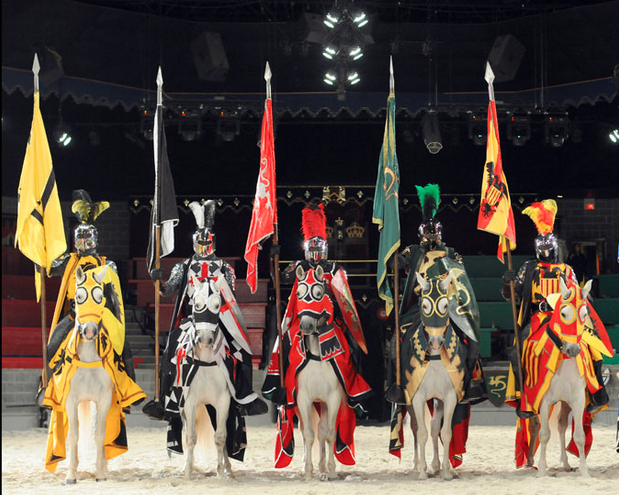 My husband and I have decided to take a different approach this year-we are planning a relaxed; yet still very fun NYE with close friends, and then will be ringing in the new year with our toddler at Medieval Times! He is going to LOVE it!! If this is something that you think your little one might love, check out Groupon, we were able to get our tickets at a deep discounted price. Whatever you are doing, make it a fun and safe holiday! The latest adventures that our family has embarked upon has been preparing for Santa's arrival! 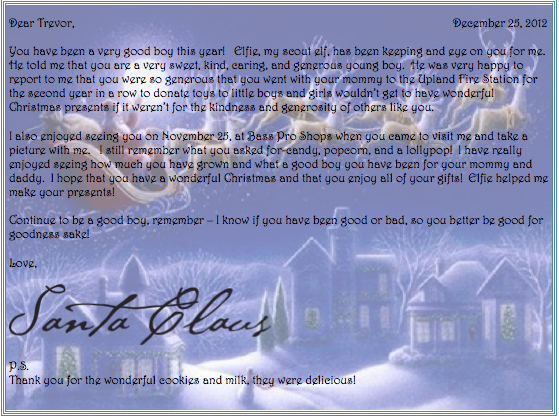 This year started with "Elifie," our scout elf, arriving from the North Pole on November 26. We have watched the movie, read the book, and have enjoyed seeing where Elfie appears every morning. This has been such fun! However, with all of this preparation for S.C., and my son becoming moe well aware of his surroundings, I have found that I need to streamline my system a bit. This year, I produced a word document with an image AND the big guy's signature that will be used for years to come! I am also making gift tags signed by S.C. himself. I know, some of you think I am going overboard, but I LOVE seeing how excited my son gets over Santa, and I want to preserve this for as long as possible (which means I don't want him to realize that S.C.'s handwriting is awfully similar to mommy or daddy's-just covering me bases!) Feel free to use my template if you wish! Happy Holidays! Our family has embarked on a different kind of adventure this year-with Christmas coming, and Trevor very well aware of Santa Claus, we decided that it be time to get into the spirit of Christmas and all of its wonderful glory. We purchased the Elf on the Shelf movie as well as the Elf on the Shelf. It was so much fun! We watched the movie (24 minutes) as a family and as soon as it was over, we discussed the movie and the meaning of it. Right when we finished discussing the movie and "Chippey," there was a knock at the door; Santa had delivered a very special package-his very own Elf on the Shelf! We read the story, named our elf ("Elfie"), registered him on the website, and the fun has officially begun. Elfie is going to watch over Trevor each day, and every evening after we all go to bed, he will fly back to the North Pole and report back to Santa and return to our home before we wake up each morning-but he will be in a new spot. It will be so much fun watching Trevor look for Elfie. The adventures of Christmas in the Newman household have only just begun. 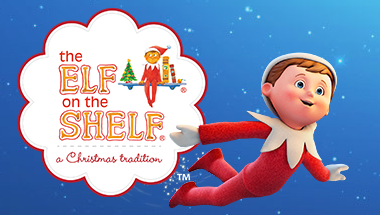 If you are interested in getting your own Elf on the Shelf to start this great family tradition, you can go to any Target Store, Barnes and Noble, and most Hallmark stores. However, Bass Pro Shops has the greatest selection in the the types and genders of elves, the books, coloring books, plush elves, etc. Happy Elfing! Not sure what to do this weekend? Consider taking a drive to beautiful Oak Glen, where you can eat an amazing home-style meal at Apple Annie's, get the best apple pie your taste buds will ever encounter, go apple picking, apple cider tasting-and take home a pint, half gallon or gallon of your favorite cider, go for a pony ride, purchase some local honey, see local wildlife, dance, and have a grand ol' time! If you are really feeling adventurous, you should also consider going to the Live Oak Canyon Pumpkin Patch-it is phenomenal! Fair warning though-you could spend an entire day (and your paycheck) there! They have pumpkins, gords, pony rides, a petting zoo, a corn maze, bounce houses, slides, photo booths, rides for the little ones, games, food, drinks, and a MASSIVE pick-it-yourself pumpkin patch to boot! We typically head out to Oak Glen early in the morning, eat at Apple Annie's for breakfast (I strongly recommend the fried chicken with mashed potatoes and turkey gravy), then take a walk through the village, get our year's supply of honey, buy a few ornaments from Five Seasons, check out the wildlife center, and pick up an apple pie from Apple Annie's. We scurry on out of the village and head over to Snow-Line Orchard where we go apple cider tasting, get a gallon of cider, drink it under the apple trees, listen to live music, eat some apple donuts and enjoy the day (you can also pick raspberries here!). If you are feeling energetic you can head to Riley's to pick your own apples. Finally, we end the day at Live Oak Canyon Pumpkin Patch! It is the perfect way to kick off the fall season! I just can't help but pause and take a moment to appreciate the exquisite beauty that was caught in this picture. All of Alaska looks like this-it is absolutely breathtakingly, awinspiringly beautiful. Every time I look at this picture it puts a smile on my face and brightens my day, I hope it does the same for you! I hope that you are inspired by this picture to go out and seek some of God's great beauty in your own backyard! Happy Hunting! There is nothing more fun in the summertime than going to a baseball game for some great quality family time! Baseball games hold a very special place in my heart because I always used to go to them with my grandparents as a child. So naturally there is an instant feeling of nostalgia every time that I go. Living near a minor league team also has its perks-they play fairly often, the tickets are inexpensive, there is always an activity going on for each game, and no matter where you sit, you have an amazing view since the stadium is much smaller than a major league stadium! So, the next time that you are bored and fresh out of ideas, consider going to your local minor league's baseball game! You are guaranteed to have a blast! 1. My husband and I both always sign up for frequent flier miles every time we travel with any airline, we figure, if we are going to fly, we might as well build up miles with the airline-just in case. Also, I signed up for a credit card that offered 40,000 miles for American/Alaskan Airlines if I made $750.00 in purchases over the course of the first four months that I had the credit card. There were no sign up fees, so gimmicks, or blackout dates to use the miles either. The miles did post 6-8 weeks after the four month period was over; so if you plan to do something like this, give yourself plenty of time so you don't feel rushed. I was able to purchase three one way tickets to Alaska for myself, my son, and my husband for 12,500 miles each; and my husband did the same for our returning flight. Because we used frequent flier miles we couldn't be as picky as to which airport we wanted to fly out of, but we still got our second choice, and got times that we wanted. Overall, to spend just a $5.00 transaction fee for each passenger ($15.00 each way) to fly to Alaska, I think we did pretty darn well. 2. Using the Entertainment Book. We decided to rent an RV for this trip as we want to do a lot of traveling through Alaska and wanted to travel comfortably. We did quite a bit of research and determined that for almost the same price as an SUV and almost the same gas mileage as one as well, we could have a 32 foot RV that would comfortable sleep up to 10 people. This is ideal for us because 6 adults and 1 toddler will be in one RV together traveling the better part of Alaska looking for Halibut and Salmon. The best part about this is that in Alaska you are allowed to camp nearly anywhere, which is perfect for us considering the number of stops that we will want to be making to fish, hike, take pictures, or just let the kids (and adults) get out and play. 3. Do your homework. 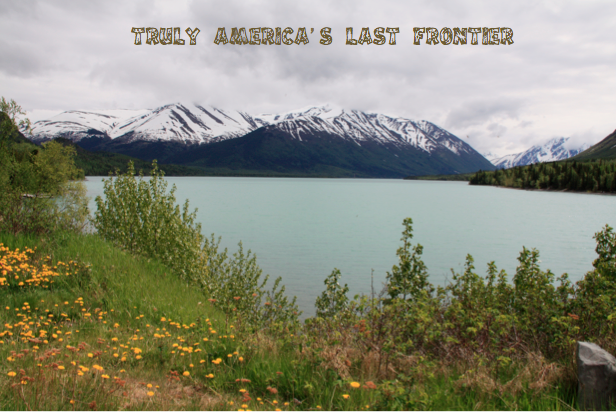 We went to Alaska in June of 2010 and knew that we would be going back again. When we made the decision to go back to Alaska, all parties involved started doing their subsequent homework to line up the best deals for fishing charters, float trips, RV rentals, booking flights, buying tickets/passes to various events, etc in as early as October of 2011. The more time that you give yourself to plan a trip like this, the less money that comes out of pocket, the more you can plan, and the better experience you can have. What toddler doesn't enjoy seeing elephants, monkeys, tigers, lions, alligators, apes, girafes, and the like? Today, T and I went with one of his greatest little buddies to the LA Zoo. T has known this guy since both guys were in the womb! Both myself and Marnie met at Lamaze class when we were pregnant with our boys, and then we met again at Mom's Group and became fast friends, and so did our sons, at the age of 6 weeks! 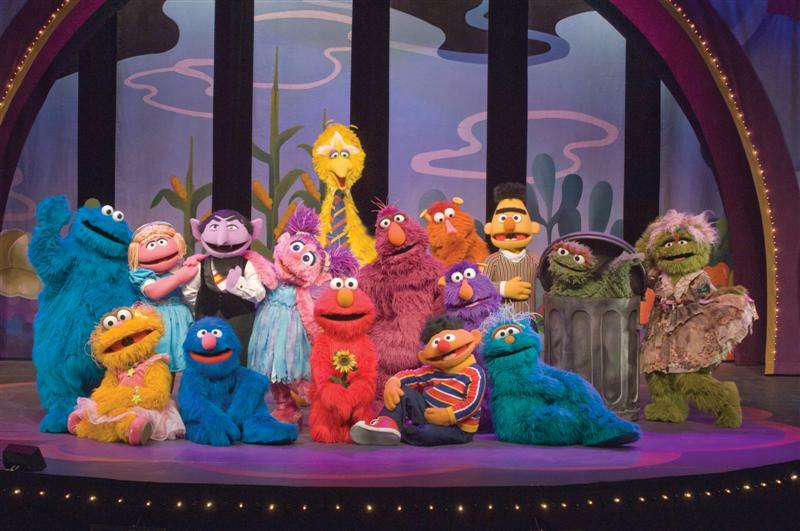 We have had tons of adventures together, including Sesame Street Live! 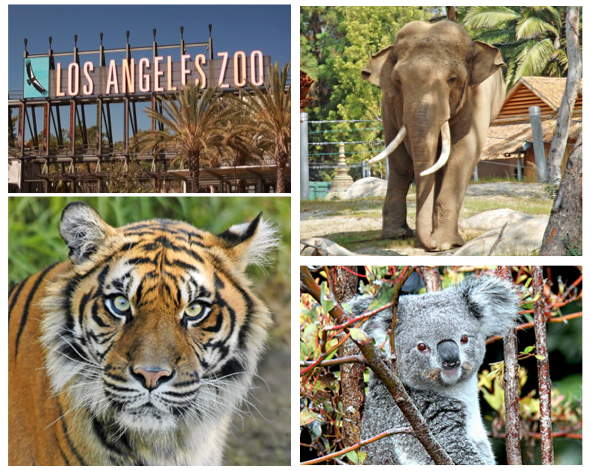 If you live in Southern California not only is the LA Zoo a great option (fun and reasonably priced, plus you can always find a coupon online or at your local grocer) but Griffith Park is fantastic! It is filled with fun things to do like going on the merry-go-round, horseback riding, hiking, picnicking, going to Travel Town (which is totally free), the Gene Autry Museum, and the list continues on! I am sure that this trip was simply the first of many to come for the summer! As you would know it, summer is in full swing in our household and the adventures are starting! The fam and I have already been to a couple of parks, explored the city, have been to Big Bear Lake, and we are currently getting ready for: our big trip to Alaska, Caddo Lake, Texas; the Kids Space Museum, La Brea Tar Pits, the Los Angeles Zoo, San Diego, AND we bought Disneyland passes so we go quite frequently now! This Saturday's adventure is practically in our backyard though, at the Citizens Business Bank Arena-Sesame Street Live! The are playing all weekend long starting tonight at 7:00 PM and you can get tickets for as little as $15.00. If you plan to go, I suggest purchasing your tickets directly at the Box Office as opposed to Ticket Master to save yourself the astronomical "convenience" fees that Ticket Master charges. Also, the arena has started to charge $10.00 for parking, if you are willing to walk, there are businesses directly across the street that you can park in and walk to the arena from. I actually prefer doing this because I avoid the traffic that ensues when everyone tries to leave at the same time! Otherwise, if you would rather park in the parking lot and you can arrange to purchase your tickets ahead of time, you can also get your parking at a discounted rate at the Box Office at the time as well ($8.00 instead of $10.00). Hope to see you there! Living in Southern California has its perks, great weather, mountains, cityscape, ocean, and desert all within an hour of wherever you might be, and of course, TONS of adventures to be had. Our most recent adventure is probably one of my favorites, starting with a great breakfast at the Mt. Baldy Lodge, a hike to the waterfall, followed by a bar-b-que picnic at the day campgrounds at the base of the hike. The weather was fantastic, the water was flowing, and it was the perfect jumpstart to the many adventures to be had by the Newman clan!